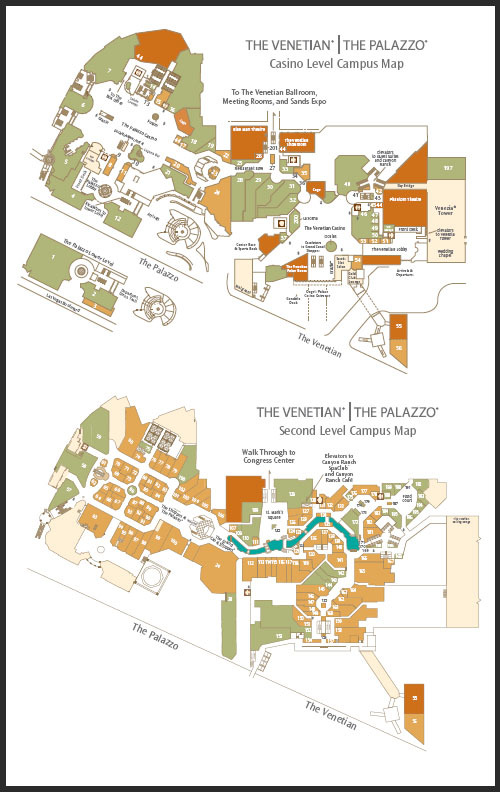 The Venetian and Palazzo Las Vegas are very similar hotels, connected to each other on the north side of the Las Vegas strip. 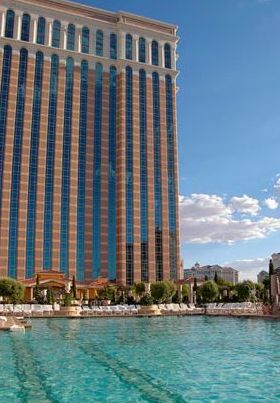 The Venetian was the first to open in May 1999 followed by the Palazzo in January 2008. Due to their similarity in price, location, and amenities, many people struggle deciding between the two locations. So which hotel is the best, The Palazzo or Venetian? What differences are there between these two well kno hotels. We are going to break down each hotel and help you decide which hotel better suits your needs. 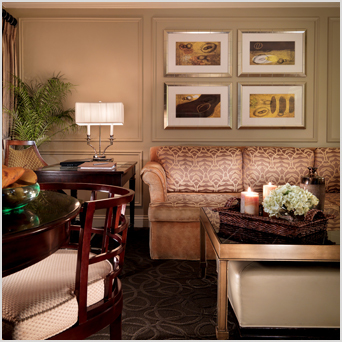 Both the Venetian and Palazzo offer luxury suites as their standard room. Each is similar and size and layout, with the Palazzo room being slightly bigger at 700 sq. ft.
Lago, Lago Media Suite, and Lago 2 bedroom (1,943 sq. ft.)- Media room and perhaps pool table or piano in the separate living room. Second bedroom suites offer two more queen beds. 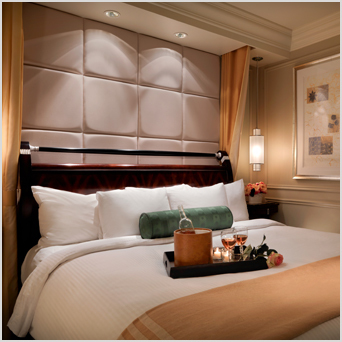 Overall the suite section is similar with a slight edge to Venetian with more variety and luxurious suites. For most people staying in the standard suites there is no difference except the Palazzo is a little bigger (720 vs 650 sq ft). 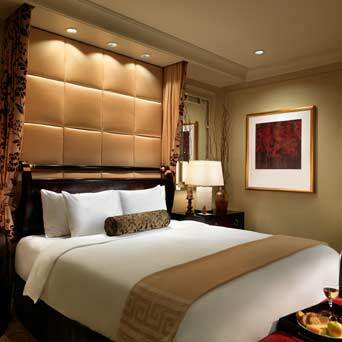 The Venetian does offer the luxurious and private Venezia tower as an option. The tower is in the west wing of the resort which features over 1,000 suites with a pool garden courtyard that offers 2 pools, 2 hot tubs, outdoor shower, and cocktail and wine service by Bouchon. Bella Suite (700 sq. feet): 2 Plush Queen beds, separated living room with sofa sleeper, oversized bathroom, sunken living room available on request, fully stocked refreshment center, work desk. Both the Venetian and Palazzo offer a wide variety of restaurants from world class fine dining to casual dining. Since the location is close together there really isn’t a reason to select one over the other for fine dining. Each hotel offers a great steakhouse with well-known Chefs. Cut and Carnevino at Palazzo are both excellent steakhouses featuring Chef Mario Batali and the Venetian has Delmonico Steakhouse featuring Chef Emeril Lagasse. Vegas is known for its plethora of celebrity chefs that own some of the best restaurants in the world and The Venetian and Palazzo are both in a league of their own with their fine dining choices. B & B Ristorante- Fine dining in a casual Italian atmosphere by Mario Batali and Joe Bastianich. Bouchon- Thomas Keller, named America’s Best Chef by TIME owns this French Bistro that is one of the most popular breakfast and lunch destinations. Carlo’s Bakery- TLC’s Cake Boss brings this bakery to The Venetian where guests can dine on cake and lobster tail. Carnevino- Mario Batali’s Steak House is upscale and features some of the most exquisite steaks on the market. Chica- This vibrant restaurant by John Kunkel serves Latin flavors and is known for their wine selection and mixology program. CUT- American steakhouse by Wolfgang Puck where all ingredients are sourced humanely. Lagasse’s Stadium- Emeril Lagasse presents a more affordable celebrity chef dining experience at the Stadium ultimate sport’s bar. OTTO Enoteca Pizzeria- This wine bar by Mario Batali and Joe Bastianich features small bites and Italian pizza. Solaro- Experience the magic of Wolfgang Puck’s breakfast burritos or fish tacos, poolside at this casual dining restaurant that is open for breakfast and lunch. 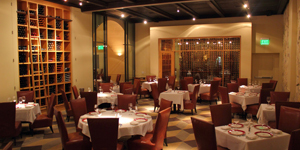 Table 10- This American restaurant by Emeril Lagasse serves lunch and is known for creole foods with lots of flavor. Venetian offers better access to low cost food options with the food court in the Venetian casino area and one in the Shoppes area. Whether you are in a hurry or are looking for some cheap eats, the Venetian offers better access to cheaper food, so keep that in mind. Both Venetian and Palazzo offer a wide variety of pool choices from large resort style, party day club pools, and small relaxing pools. The Palazzo Pool Deck- 7 Pools with lifeguards on duty and pool attendants eagerly wait to be assistance. Each pool has a unique setting such as a family pool, a pool to sunbathe, private shower rooms and changing rooms. Palazzo also has the Azure Pool, which is more of an adult pool with bumping music which can turn into a party-like atmosphere. Nothing like Tao beach however if you are looking for a daytime pool party. The Venetian Pool Deck- Stunning fountains, multiple pools with lush landscaping located on the 4th floor. Tao Beach Day Club and Pool-This is the place to go if you want a club like atmosphere during the day. 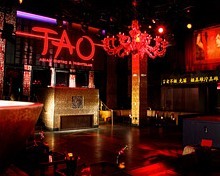 Read our overview of Tao Beach for more info. Canyon River Ranch Spa- This spa offers pool side spa services to cabanas and private group yoga classes as well. The SpaClub facilities are only accessible by guests age 18 and over; however, certain spa amenities and treatments are available for guests between 14 and 17 with parental accompaniment. Both hotels are serviced by this spa. Both Hotels also share access to The Aquatic Club which offers privacy and luxury with a sporty twist. This club is inspired by swim and lawn clubs with sophisticated, upscale elegance. 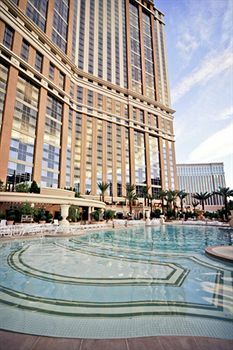 Overall Palazzo has more options like cabanas, small relaxing pools and not just one big lap style pool like Venetian. Venetian has Tao Beach which is much more of a club atmosphere and daytime pool party than Palazzo’s Azure Pool. You will enjoy either hotel’s pool and if you don’t you can always keep walking further in either direction since there is a path that connects all the pools. The Venetian has a better overall casino due to having more gambling options. The Venetian has one of the biggest poker rooms on the Strip with several daily tournaments and cash games going at once. The Palazzo doesn’t have a poker room, so you will have to make you way over here to play. The Venetian also has a nice Race and Sportsbook area that the Palazzo does not have. The Venetian has one of the biggest HD sports screens at over 100 feet long and can show up to 34 different sports events at once. You can place bets at the Palazzo at their small sports betting desk but there are not any TVs or places to sit. Alternatively you can go to Lagasse’s stadium to watch the games, but you will have to meet a food and beverage minimum to stay there and bet. Both hotels have a signature nightclub. Tao Nightclub at the Venetian and Lavo nightclub at Palazzo are both very popular and have wait times as much as 2 hours to get in on the weekends. Celebrity sightings and popular DJs are frequent at each establishment. Between the two, Tao is probably considered the more popular spot however. There are great lounges and bars at each hotel. Vbar and the Bourbon Room are the two popular lounges in Venetian and Double Helix wine bar and Laguna Champagne Bar at the Palazzo. Do not let nightlife sway you between picking between the two hotels, it is an easy walk between hotels and some spots are almost in between the two. Venetian has more entertainment options with the Venetian theater and the Venetian showroom. Comedians like David Spade and Tim Allen perform regularly there and the Venetian Theater hosts shows like Blue Man Group and Tim McGraw and Faith Hill’s new Soul2Soul. 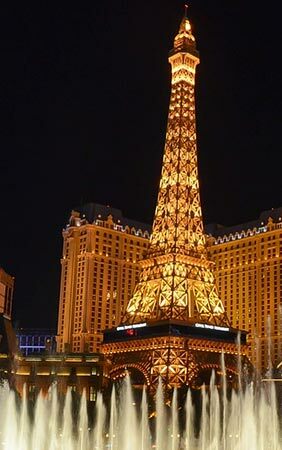 Las Vegas Nightlife is best seen on the Strip and both The Venetian and Palazzo have amazing options from world class performers to choose from. The Hotels are host to Human Nature Jukebox, BAZ- A Musical Mash-up, and frequently hosts comedians such as Jeff Foxworthy and world-renowned musicians such as Earth, Wind & Fire, Styx, and Chicago. Overall each place is great ,and you really cannot go wrong picking either one. Perhaps it is best to go to the hotel that offers the best price since you can easily walk to everything in each resort. Be sure to check out the latest Las Vegas hotel discounts for tips on saving at both the Venetian and Palazzo.